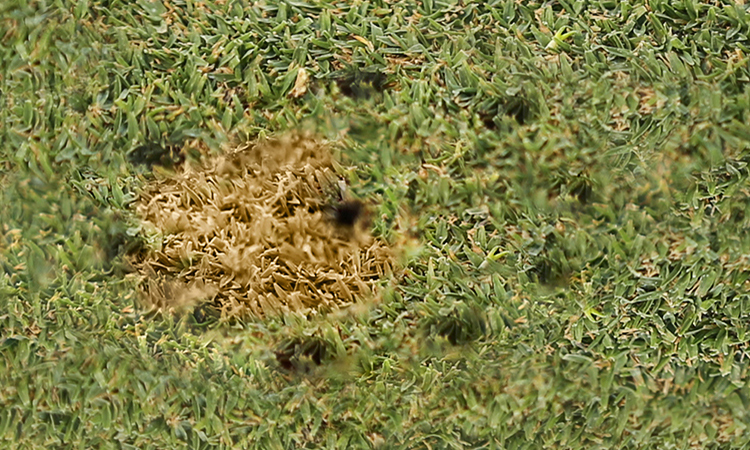 Place over the ball mark or brown spot. Step-on the blue-cap to drive 16 pins into the turf. Lift to see results: flat and aerated ball mark or brown spot to allow air, water and nutrients to regenerate the turf faster. Q: What is the use/efficiency rate? 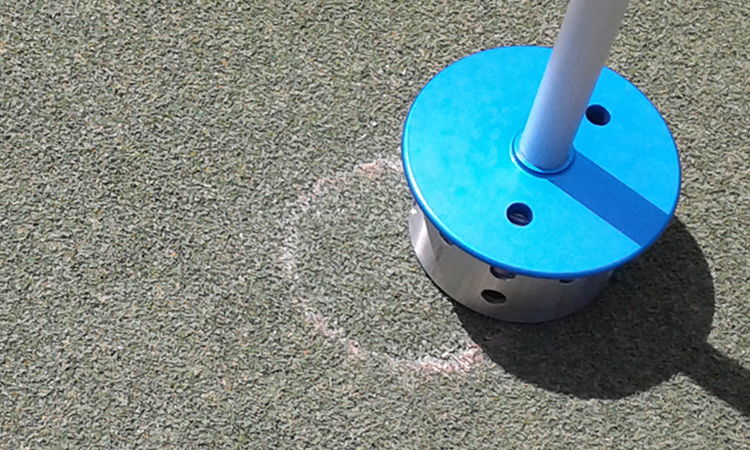 A: It takes about two (2) seconds to repair a ball mark or brown spot. Q: When is the best time to use the jabAERATOR? A: The jabAERATOR can be used during and after play and is best before mowing the greens. Q: Where can the jabAERATOR be placed, while playing? 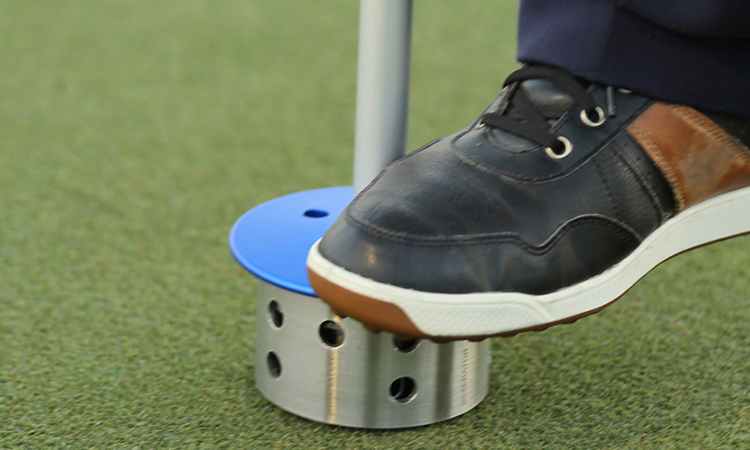 A: The jabAERATOR can be placed in a flag-cup at green’s edge, carried in the bag or in the cart. Q: Can anyone purchase a jabAERATOR? A: Yes. 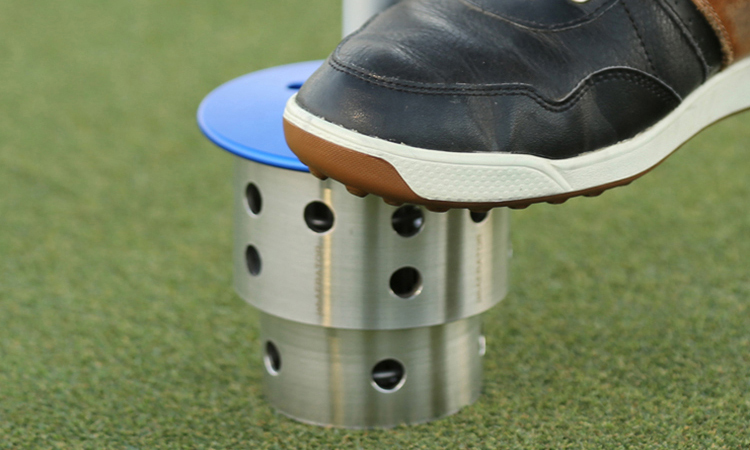 While we expect the largest customer group will be private and public golf clubs and municipal courses, individuals can also purchase the jabAERATOR for their personal use. Q: Where is the jabAERATOR sold? 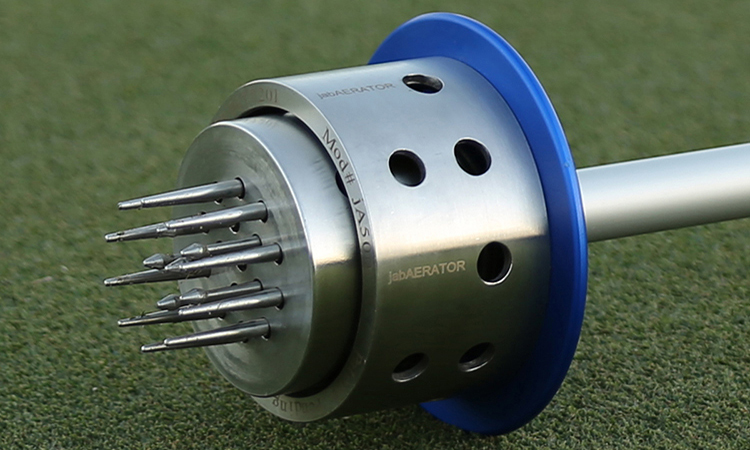 A: The jabAERATOR is available online at: www.jabaerator. Q: Where is the product manufactured? A: The jabAERATOR is made overseas, assembled and packaged in the USA. 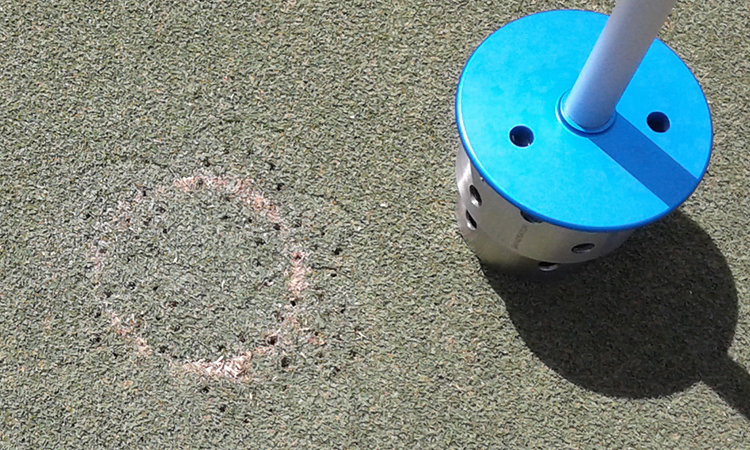 Q: Are there any adverse conditions for jabAERATOR’S use? A: Yes. Avoid extreme wet conditions, newly built and top-dressed greens. Q: How should the jabAERATOR be cleaned and maintained? A: The jabAERATOR is practically maintenance-free. 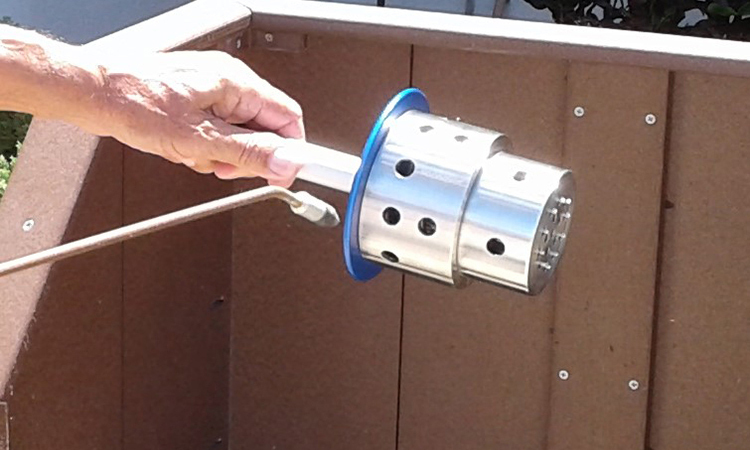 Sand and dirt are dispensed through the well-designed clean-out holes. To maintain, simply soak the base in water and dry with compressed air. WD-40 or other types of lubricants are not recommended. A: 30-day money back from date of purchase. Buyer pays return shipping. Return Authorization is required. Email sales@jabaerator.com. Q: What is the jabAERATOR’s Warranty? A: Felmar Products LLC will repair, without charge, any defects due to faulty materials or workmanship for one year from the date of purchase. This warranty does not cover part failure due to normal wear or tool abuse. For further detail of warranty coverage and repair information, call 1-561-542-3210. This warranty gives you specific legal rights and you may have other rights which vary in certain states. We started using the jabAERATOR every other day beginning in September of 2016, and we love the results. Our high season starts October 1st and lasts through May 15th. During this period, we average 150+ players a day. Using the jabAERATOR has allowed us to repair ball marks and aerate brown spots quickly and easily, making our greens strong, healthy and looking great through our busy months.